The Sufis are an ancient spiritual school, of somewhat uncertain historical origins, taking its present form in the Mid-East and Central Asia beginning about a thousand years ago. One may recognize a confluence of characteristically “Sufic” elements reaching back to the Egyptian and Greek Mysteries, the Zoroastrian Magi, the Kebzeh tradition of the Caucasus, and Central Asian shamanism, as well as inner teachings of the Judaic, Christian, and Islamic streams indigenous to the Mideast. The Sufis have exerted a signficant but mostly unrecognized influence on the development of Western culture. The craft guilds of medieval Europe were originally modeled after or were extensions of Sufi schools in the Mideast and Andalusia. Friar Roger Bacon and Pope Sylvester II (both bringing Arab translations of Greek science to Europe and thus helping to launch the European Renaissance) acknowledged their Sufi influence. More recently, H. J. Witteveen (former President of the World Bank), writer Doris Lessing, British poet-laureate Ted Hughes, and actress Ellen Burstyn are students of the Way, as were guitar virtuoso Andrés Segovia and the late Secretary-General of the U.N. Dag Hammarskjøld. The late Muhammad Ali called Hazrat Inayat Khan’s books “the best books in the world.” The most famous Sufi in our time is Jelaluddin Rumi, the founder of the Sufi order known in the West as the “Whirling Dervishes” and who, seven hundred years after his death, has been the best-selling poet in America for over a decade. The term “sufism” is an unfortunate linguistic convention. The Sufi “way” is not an “-ism” or a religion or a belief system; it is an empirical approach to self-work, designed to nurture and unfold our latent human potentials under Divine Guidance. This work leads to an awakened consciousness and an abiding happiness which is independent of outer circumstances. The Sufi approach is not based upon beliefs or premises but upon direct personal experience. While having much in common with other paths such as Yoga, Buddhism, Kabbalah, and the teachings of the Christian mystics, it is also a particular approach to spiritual practice in its own right, having its own style and methods which answer the need of humanity in today’s world in a unique way. There are numerous Sufi “orders” throughout the world. These are lineages founded and inspired by one or more historical Sufi masters in an initiatic succession down to the present day. Each order has its particular form of ritual and practice, but the inner teachings differ only in detail. As the basis of this path is held to be inherent in the essential structure of the human being and in consciousness itself, Sufism has had exemplars but no “founder,” and can be said to have existed since human beings attained their present form. The Sufi approach was brought to the West early in the 20th Century by the Indian master Hazrat Inayat Khan (1882–1927) (top left), in a form which is tailored to the needs and outlook of our time. The order he founded, now known as the Ināyati Order (formerly the “Sufi Order of the West”) is currently headed by Pir Zia Inayat-Khan (right). 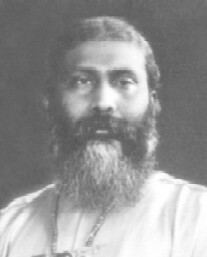 Pir Zia is the grandson of Hazrat Inayat Khan and was born and educated in America. 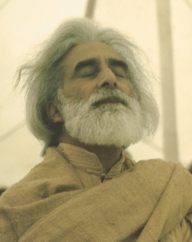 He received his training in Sufism from his father, the renowned Pir Vilayat Inayat Khan (1916–2004) (left) and from Indian, Turkish, and Afghan Sufi masters. Pir Zia holds a Ph.D. in Religion from Duke University and is a recipient of the U Thant Peace Award. Since much of the development of Sufism over the last 1400 years has been in parts of the world where Islam is the predominant form of religious practice, most Sufis worldwide are Muslims. However, the Ināyati Order is an inheritor of a stream of “universal” Sufism which took form in India over 700 years ago and which affirms the common ideals of all religious faiths. We do not ask or inculcate an acceptance of any specific religious or philosophical beliefs — even belief in God — nor do we seek to convert anyone from one faith to another. We feel that real development can only take place if people work with what is meaningful for them, and that a deepening of one’s spiritual experience is essential to informed practice within any faith tradition — and indeed, of a well-lived life. We create a safe environment where people can feel free to be spiritually open and to discover their own inner truth for themselves. Was G.I.Gurdjieff a sufi initiate? I suspect he was. The Gurdjieff “movements” are actually a practice of the Bektashi Order in Turkey.